One of my favorite things about Seoul is that it is a super-modern city that maintains many of its age-old customs. 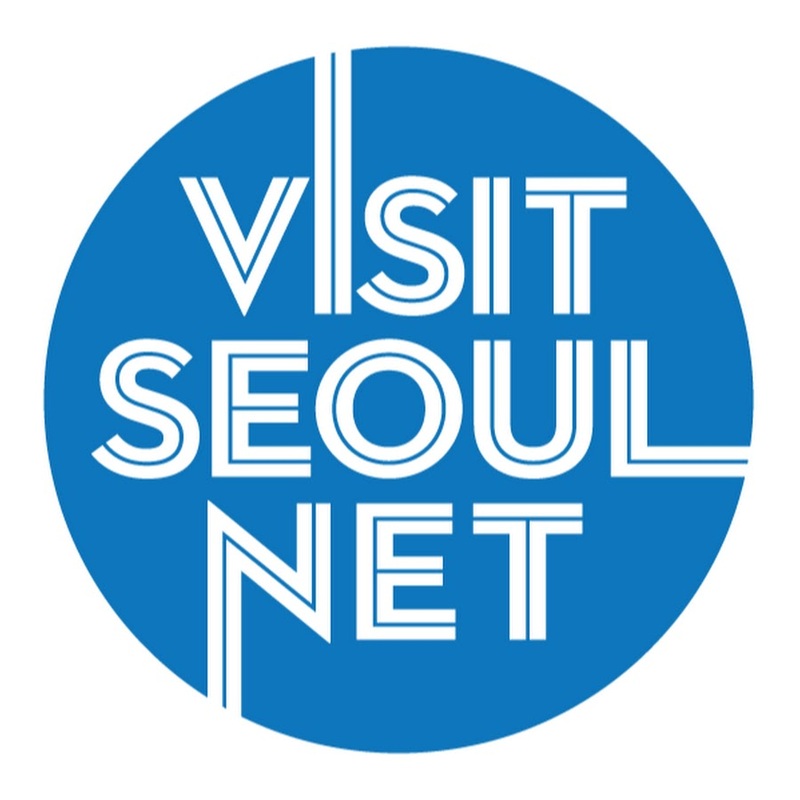 One can spend the morning sipping traditional tea in a preserved hanok and meander on over to the visually captivating N'Seoul Tower to enjoy the millions of lights that illuminate the city in the evening. This mixing of eras can also been seen in many of the performance attractions the city has to offer visitors. 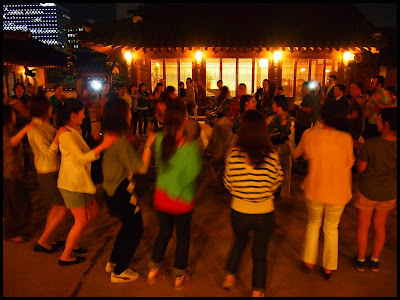 One such show is World Beat Vinari which is currently showing at the Seoul Namsan Traditional Center in the Namsan-gol Hanok Village. 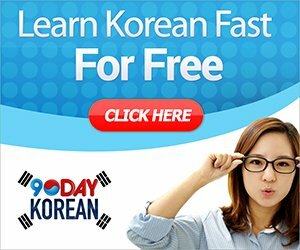 As a K-Performance Supporter, I was given the chance to check out this amazing show that has been performed in over fifty countries throughout the world. My mom, who is currently visiting me here in Korea, and I arrived at the Namsan-gol Hanok Village a bit before the show started to check out some of the hanoks (traditional Korean houses). They were especially beautiful at that time, as the sun was beginning to set and the homes were lit by traditional lanterns. Soon, a gong signaled it was time for us to take our seats in the theater. Upon sitting, we couldn't help but be in awe of the beauty of the theater. The Seoul Namsan Traditional Center is designed to look like the interior of a traditional Korean home with delicate wood framing and mulberry paper covering the walls. 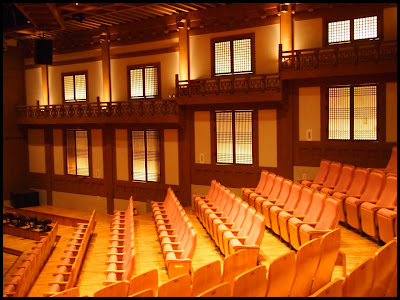 The theater was spacious and airy, a perfect environment for the show we would be watching. The interior of the Seoul Namsan Traditional Center was the perfect environment for a performance of gugak. 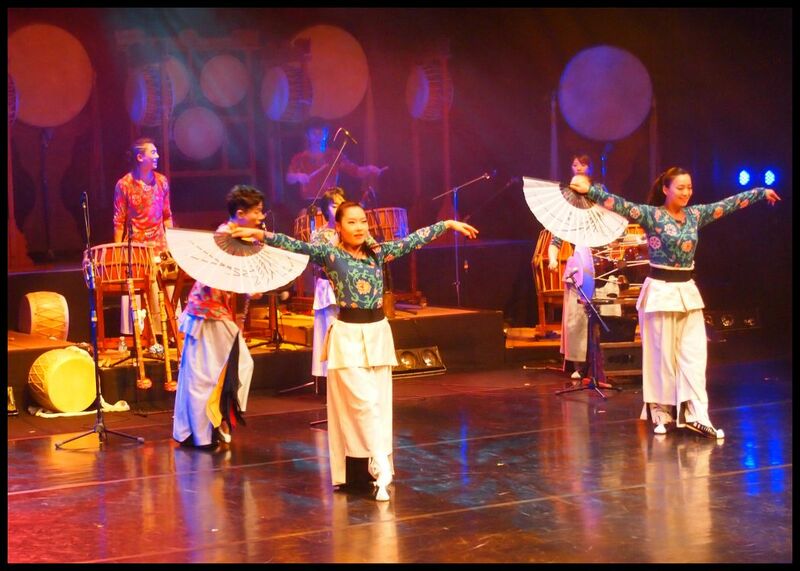 The World Beat Vinari performance showcased a number of energetic musicians performing gugak, traditional Korean music. 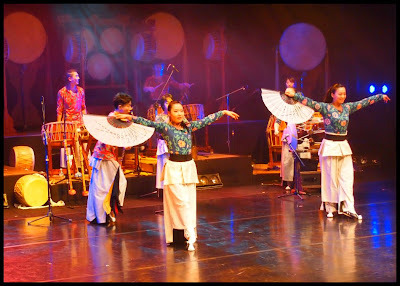 Although I had never seen a few of the instruments used, I did recognize some of the horns, flutes, and the gayageum (a harp-like instrument). 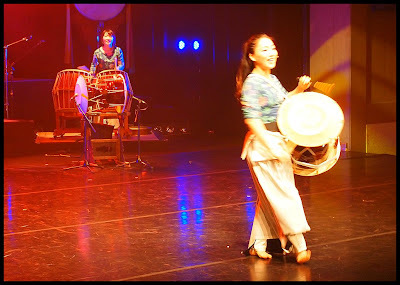 There were a number of traditional instruments, but the focus of the show was on the drums. Though the show featured traditional music, there were also some modern elements, such as digital music and lighting. The highlight of the evening was a number involving each musician banging on five different drums in sync. The entire audience was captivated, particularly the older viewers. I could easily see the traditional anthems being performed were bringing back childhood memories for many of them. In addition to the music, there were also some traditional dances in the show, too. 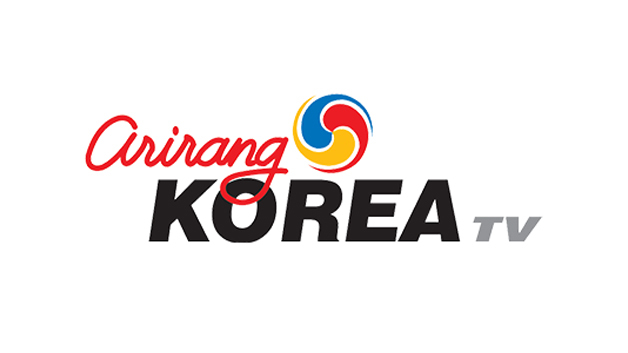 The amazing drum numbers are the main draw of World Beat Vinari. As the show ended, the performers encouraged the audience to follow them to the first floor courtyard to join in on a dance and final drum number. The energy was incredibly high and everyone involved was having fun. It was the perfect ending to an excellent evening of gugak. The audience gathers outside for one last celebration of traditional Korean music. World Beat Vinari runs until May 13th. For more information, call (02)2261-0515.